Bedford NH Public Insurance Adjusters | Pipe burst, ice dam, water damage claims experts. Winter storm insurance claim experts helping Bedford NH home owners and business owners with frozen water pipe bursts, ice dams, and structural collapse insurance damage claims. How we can help Bedford NH residents and business owners with insurance claims. Global Patriot Adjusters is a company built on the single goal of bringing every dollar deserved to clients from an insurance claim. We maintain the best reputation in the Public Insurance Adjuster business because we take every claim for every client as a project with personal ownership and accountability. In cases where a storm appears out of nowhere and a bad accident happens, someone needs to be in your corner fighting for YOU! 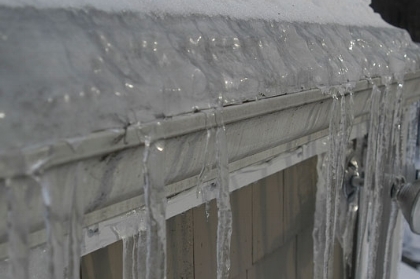 Global Patriot Adjusters can help Bedford NH policyholders with their ice dam and water damage insurance claims. We get you maximum payout and take the pain out of the claims process. Global Patriot Adjusters can help Bedford NH policyholders with their pipe burst and water damage insurance claims. We get you maximum payout and take the pain out of the claims process. Global Patriot Adjusters can help Bedford NH policyholders with their roof and structural collapse insurance claims. We get you maximum payout and take the pain out of the claims process. We specialize in water damage, wind damage, structural damage, mold and asbestos damage and more. Bedford, NH is a part of Hillsborough County and is a suburb of the largest city in the state, Manchester. Bedford is a town that is a perfect place to go and enjoy nature, with tons of views and wooded areas for hiking and walking. There is a rock formation with fantastic views in the northwest part of Bedford called Pulpit Rock. Pulpit Rock is a part of a much larger conservation area called Pulpit Rock Conservation Area, which has plenty of animals and wildlife to enjoy. Bedford, New Hampshire has a humid continental climate and because of this type of climate, Bedford experiences some erratic and extreme weather. Living in the Northeast, means you will experience snow every now and then, but the drastic changes in weather in a short time period take a toll on residences and business. Being prepared for this type of weather is important, but more important is being prepared for the damage that weather may leave behind.